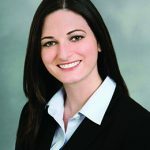 Jessica Luternauer is an experienced public relations and public affairs professional with a strong track record of developing and implementing successful communications programs for a broad range of clients. Luternauer has helped secure regulatory approvals for a number of controversial projects, including San Diego Gas & Electric’s (SDG&E) completed Sunrise Powerlink transmission line and Protea Properties’ renovation of the Flower Hill Promenade shopping center in Del Mar. Both of these efforts received local and national awards from the Public Relations Society of America (PRSA). In her position as a Vice President, Luternauer currently works with SDG&E, Cogentrix Energy, Westfield Corporation and other clients in the energy and retail industries. Her responsibilities include developing and overseeing the day-to-day implementation of strategic plans designed to achieve clients’ specific public affairs goals and objectives. Luternauer specializes in crafting qualitative and quantitative research programs, as well as the development of messages, collateral materials and copy. She also manages Southwest Strategies’ in-house graphics department. Prior to joining Southwest Strategies, Luternauer held positions in marketing and public relations. Her duties included administering email marketing campaigns and refreshing website content. Luternauer is a member of Public Relations Society of America, the Lincoln Club of San Diego County and the Coronado Council of the Navy League. She graduated Phi Beta Kappa with high honors from the University of California, Santa Barbara with a bachelor’s degree in English. Luternauer subsequently earned her M.A. in literature from the University of California, San Diego, where she taught writing and humanities at Revelle College. A California native, Luternauer enjoys reading and spending time with her husband, friends and family.